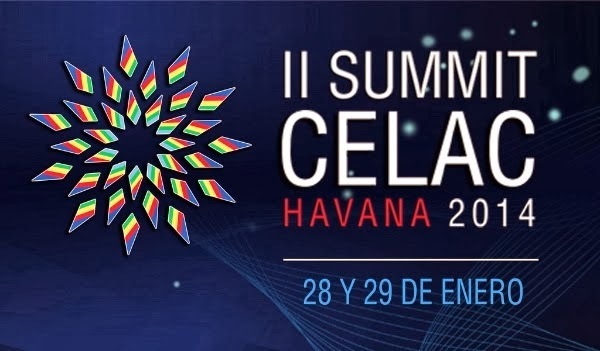 Less than a month following the gathering in Havana of members of the Community of Latin American and Caribbean States (CELAC), in attendance were also the Secretary Generals of the United Nations and the Organization of American States. One can already see some of the many fruits borne out of the Second CELAC Summit held January 28 - 29, 2014. Days prior to the Summit, and in the case of Jorge Luis García Pérez Antúnez and Yris Tamara Pérez Aguilera beginning on January 24, 2014, state security laid siege to the homes of scores of activists effectively placing them under house arrest. At the same time many more who had wanted to organize activities parallel to CELAC Summit were arbitrarily detained and an Argentine national detained upon arrival at the airport in Cuba was declared persona non grata and sent back. Manuel Cuesta Morua, a social democrat ,who was the chief organizer of a planned parallel summit with a human rights focus was arbitrarily detained on the eve of the CELAC Summit and held for five days and has now been charged with "disseminating false news against international peace," and is no longer allowed to travel. While all of this was taking place the Secretary Generals of the OAS and the United Nations refused to publicly criticize the nationwide crackdown and wholesale human rights violations occurring during their visit to the island. UN Secretary General Ban Ki-moon praised how the Cuban government treat women in Cuba ignoring the documented evidence that the dictatorship organizes mobs to physically assault and terrorize women who dissent. Add to that the hypocrisy of Raul Castro heading a regional body that claims to be democratic when he is the continuation of a 55 year old dictatorship inherited from his older brother. The Castro regime felt emboldened by the CELAC Summit and on January 27, 2014 Gorki Águila, received a summons to attend his own summary trial where he faced a 10 year prison sentence for "possession of illicit drugs" in reality he is a dissident musician who is also an epileptic with a prescription for the "drugs" they want to use to imprison him. "I was arrested with violence. I was beaten, I have my mouth busted. They put a rag bathed in gasoline, with grease in my mouth. They squeezed it into my face. The officer wearing the badge 115025 touched my face, breasts, would get on top of me. 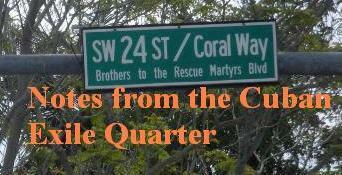 They had me handcuffed with my arms behind my back." On February 10, 2014 at 8:00am Jorge Luis García Pérez "Antúnez" began a hunger and thirst strike demanding that the security cordon erected around his house be withdrawn and the properties taken by state security and the political police returned. The regime's response to the hunger strike came a day later on February 11, 2014 when they knocked down the front door without knocking, beat up and detained both "Antúnez" and his wife Yris. Once again the house was ransacked. No warrant or confiscation order was presented. The agents of the dictatorship have toughened up the security cordon around the home and even Yris is unable to obtain food. This has led the human rights defender to maintain the hunger and thirst strike through its fourth day. Some articles online indicate that a healthy human being can die within 8 days of starting that kind of strike and most if not all are expected to pass away by the 14th day others place it as few as 5 to 6 days. 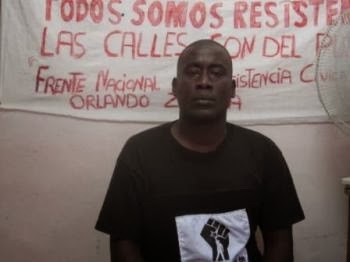 On February 13, the fourth day of the strike, the political police and state security agents again, for the third time since February 5th, invaded Antúnez's home, detaining him nd his wife Yris then ransacked his home again. It has also been reported that all this is taking place with the possibility that his wife is pregnant. On Valentine's Day the human rights defender will be beginning his fifth day on a hunger and thirst strike and his life is in mortal danger. The public silence of democrats and of men who supposedly represent organizations that defend international human rights standards have emboldened the dictatorship and repression and violence are on the rise. Let me be clear I do not generally approve of hunger strikes unless it is an extreme situation and under particular circumstances. However the mistreatment, violations of human rights are outrageous and the demands made by the Cuban activist are just and can and should be campaigned for by people of good will. In Venezuela, where the Cuban government has been training defense and state security as well as taking over a number of security functions over the last two days have witnessed students shot, wounded and killed. Images have appeared of government agents using brass knuckles to beat down students. Mass arrests and disappearances to crush nonviolent protests and parents burying their children is becoming all too common in Venezuela. Terror and death as tools of state control to subdue and control a population. The Cuban general in charge of implementing this is named Ramiro Valdez and is also the same man who imposed totalitarianism in Cuba 55 years ago on Fidel and Raul Castro's orders. In Venezuela nonviolent public protests are being criminalized and government agents directing armed pro-government groups known as "colectivos" or what are known in Cuba as "rapid response brigades" have been set up to terrorize public demonstrators critical of the government. On February 11, 2014 Roderick Navarro and Guido Mercado reported over twitter the names of a few of the students wounded by gunshots that same day who had been identified: Jorge Monsalve 20 years old, Franco Perez 15 years old (Thorax), Pedro Alison 24 years old (Left arm), Anny Paredes 36 years old (Abdomen). A day later the repressive apparatus escalated and two students had been shot to death: Basil Alejandro Da Costa Frías, 24, (shot in the head) and Juan Montoya, 40, (shot in the head and chest). Both extra-judicially executed by shooting produced by collectives and officials of the Bolivarian Intelligence Service (Sebin) against the student march which arrived at the Attorney General Office. Sebin agents are trained by the Cubans. Roberto Redman, 31, was shot at his head in another location, also in government clashes. Not as clear who was the shooter. 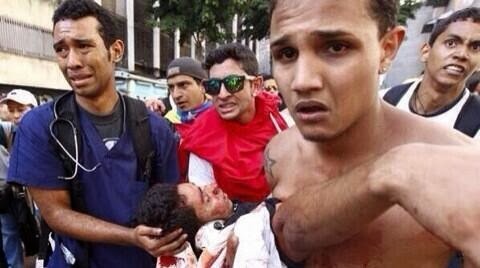 These are the fruits of the 2014 CELAC Summit and of the silence of the OAS and UN Secretary Generals. The lesson is clear one cannot rely on this regional institutions and citizens need to organize, be vigilant and scrutinize what their government is doing. Thanks to the international mobilization around the Gorki show trial it has been delayed for the time being. Their is little time to save Jorge Luis García Pérez "Antúnez" but we have to try. There also needs to be mobilization on behalf of the Venezuelan students nonviolently protesting for their freedom in their homeland.